NO. 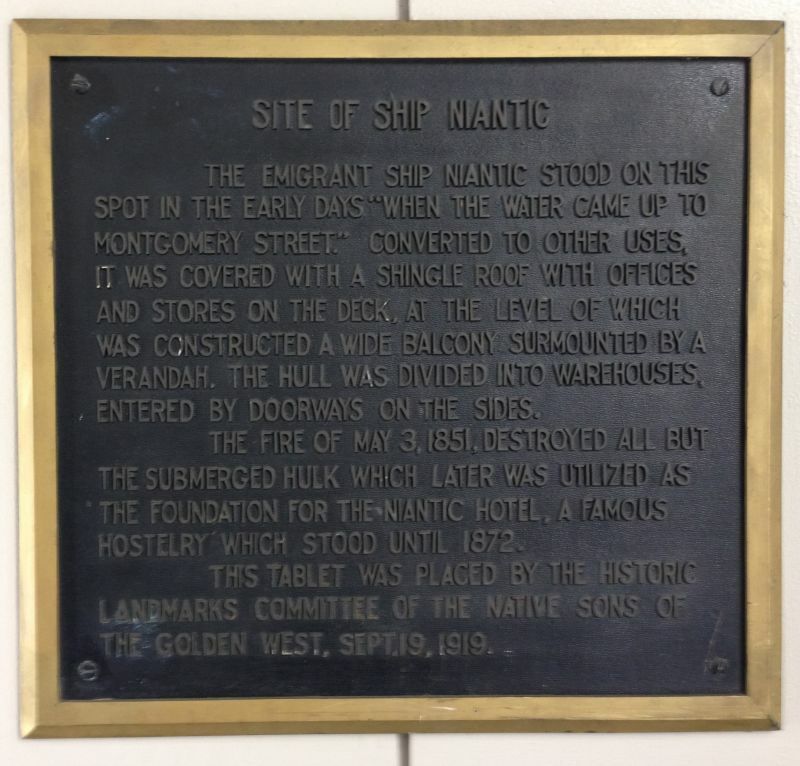 88 NIANTIC HOTEL (BUILDING) - The emigrant ship Niantic stood on this spot in the early days "when the water came up to Montgomery Street." Converted to other uses, it was covered with a shingle roof with offices and stores on the deck, at the level of which was constructed a wide balcony surmounted by a veranda. The hull was divided into warehouses entered by doorways on the sides. The fire of May 3, 1851 destroyed all but the submerged hulk, which later was utilized as the foundation for the Niantic Hotel, a famous hostelry that stood until 1872. 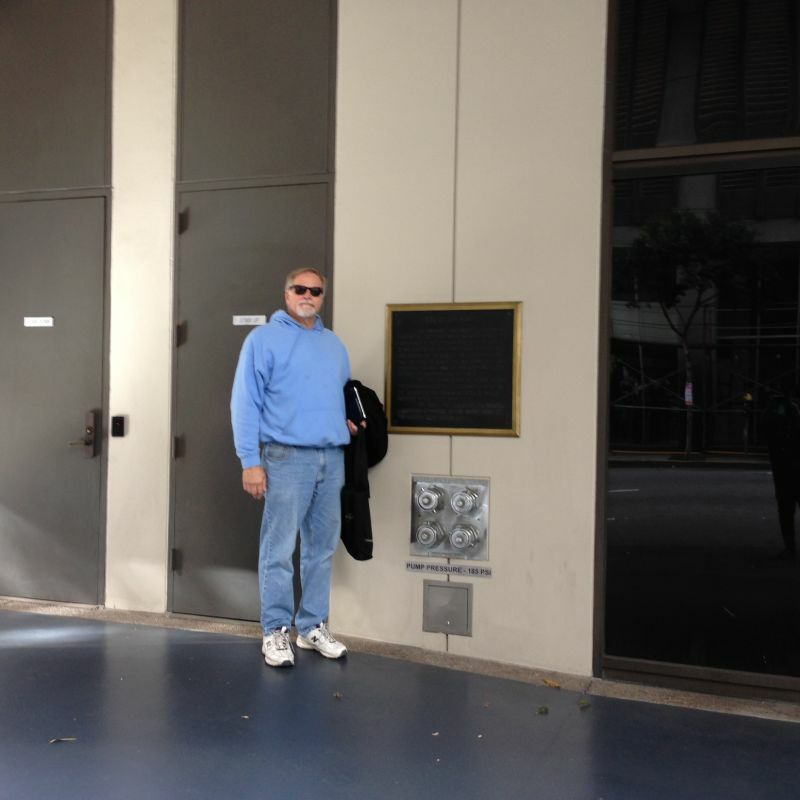 A private plaque is located on the Clay Street side of the building. 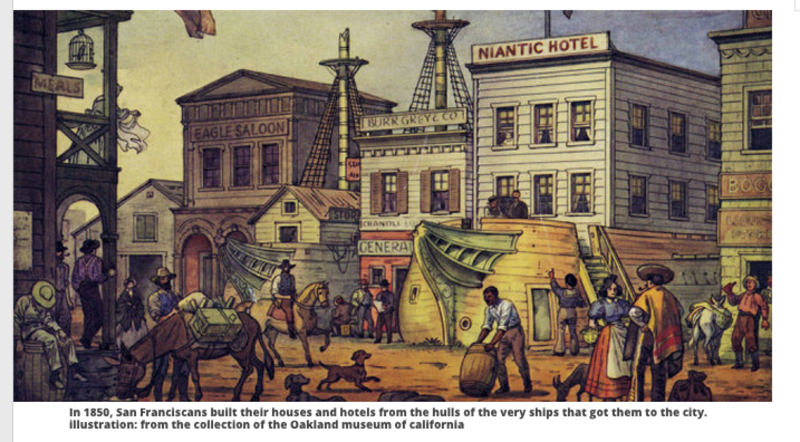 In 1850, San Franciscans built their houses and hotels from the ships that got them to the city.